The Winnipeg Jets have some serious momentum heading into the third month of the 2014-15 NHL campaign. Though they’re slightly sluggish on the offensive side, defense and goaltending have risen to become the team’s strengths this season. The sudden defensive onslaught during the early season could be a short-term spell; however, a diligent Jets backline and revitalized starting goaltender have helped the team avoid any of the fundamental setbacks in their own zone that they suffered last season. Jacob Trouba has emerged as Winnipeg’s X-Factor on defense and will only continue to improve over all 200 feet of ice. The 20-year old is prone to the occasional turnover due to his inexperience, but he has displayed a relentless awareness whether carrying the puck through traffic from blue-line to blue-line, or knocking possession away from his opponents. Trouba is not afraid to jump into the rush or wander into the opposing zone with the puck, even when the Jets are on the penalty-kill. In addition to a well-rounded two-way game, he is developing an intense edge to his physicality, especially around his own net. A potential future Jets captain or alternate, the sophomore has shown a tendency to rough up his opponents after the whistle. Zach Bogosian is largely considered the Jets’ best shutdown player and one of the team’s best puck-moving defensemen. Though sometimes criticized for holding onto the puck too long, Bogosian has showed tremendous effort in desperate situations such when dealing with tight odd-man rushes and dangerous rebounds. It’s a possible reason why the Jets’ penalty-kill is ranked in the NHL’s top 10 at December’s start. Mark Stuart, Bogosian, and Trouba, comprise the Jets’ most-often used penalty killers. Stuart, the former Boston Bruins first-round pick, is quite silent on the offensive front; however, he plays a consistent stay-at-home style. He’s also blocked the second most shots out of any Jet this season, just behind Trouba, and is in the top 20 in the NHL for that category. Winnipeg’s forwards have also done their part, especially on the penalty kill. Bryan Little has scored one of Winnipeg’s three short-handed goals this season, while the combination of Evander Kane and Blake Wheeler are deadly when a man down. Both players’ speed have many times nearly reached fruition on the odd-man rush. It’s not just the veterans doing their defensive duty. Rookie Adam Lowry has thrown the third most hits this season, behind only Dustin Byfuglien and Andrew Ladd. Mark Scheifele has also seen adequate minutes in the defensive zone and looks just as comfortable defending as he does at the opposite end of the ice. Theseventh overall pick in the 2011 NHL Entry Draft puts his six-foot-three frame to work around his own net, and is quick to get his stick into passing lanes. Defensive forwards Chris Thorburn and Jim Slater have been living up to their usual reputations, while newcomer Mathieu Perreault leads the team in takeaways. Fellow free agent signing TJ Galiardi has also made his presence felt while short-handed. The 26-year-old has yet to tally his first point as a Winnipeg Jet, but a grinder-like edge and ability to create turnovers has earned him nearly three minutes per game on the penalty kill. Perhaps the most noticeable change in the Jets’ defensive play has been their goaltending. 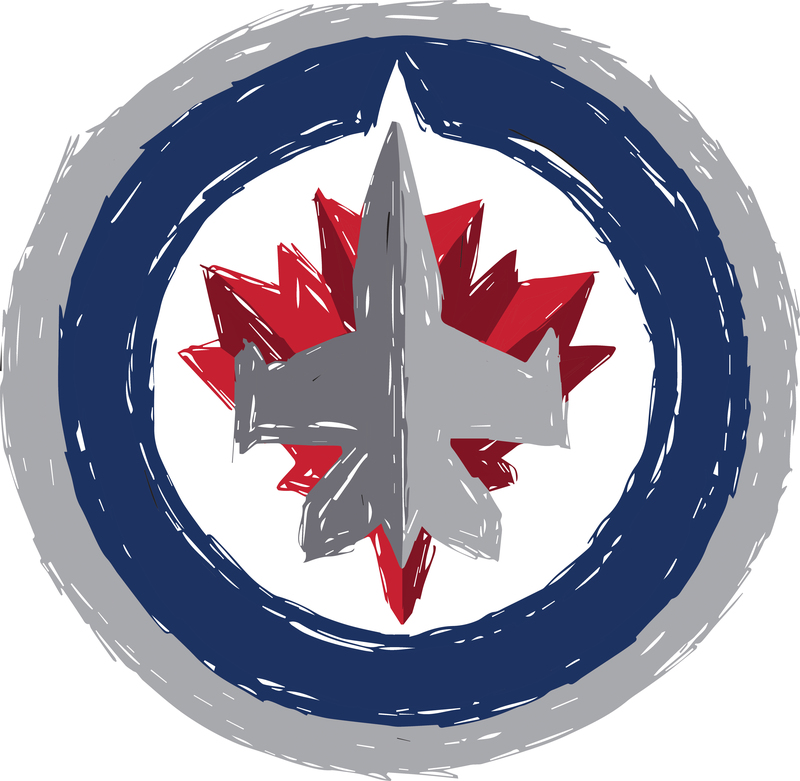 Both Jets netminders are above a .915 save percentage heading into December, while combining to keep the team’s average goals against below 2.25. Ondrej Pavelec’s hot play was highlighted with a shutout at New York, while backup Michael Hutchinson showed his ability to be a number-one in the NHL with an impressive 1-0 victory at Chicago during the next game. The biggest improvement in Pavelec’s game has been rebound control, which has contributed to the Jets’ 27 shots against per game against, compared to 30 last season. The presence of Michael Hutchinson as a stellar backup may subconsciously factor into the difference in the 27-year-old Czech’s performance this season. Whatever the case may be, it’s clear to say that goaltending is in the best condition in Jets’ 2.0 history. The same goes for their all-around defensive play.